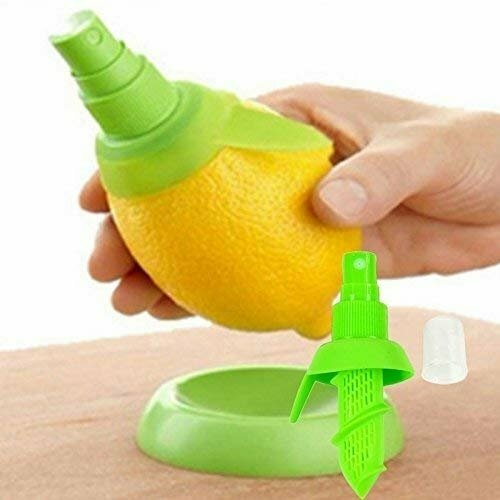 Lemon Sprayer Fruit Juice Citrus Spray -2Pcs/set . "100% brand new Quantity: 2 Pcs/set Material: High Quality Plastic Easy to use: screw-like design can easily be inserted and secured inside the fruit and the juice fills the filter through the holes in the sprayer Spray citrus fruit directly from fruit to dress your recipes or aromatize your soft drinks and cocktails in the freshest way. Suit for citrus fruits, small one for lemon."